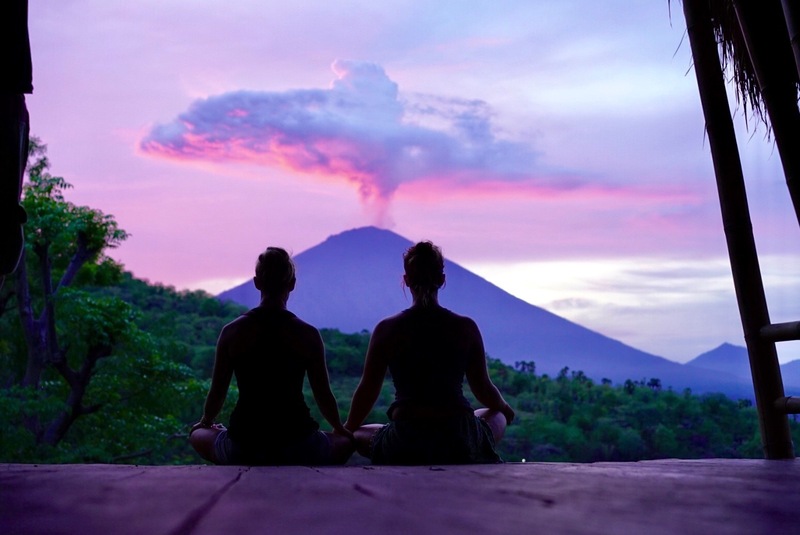 During the beginning of the Agung Event, I was in a very different place mentally. 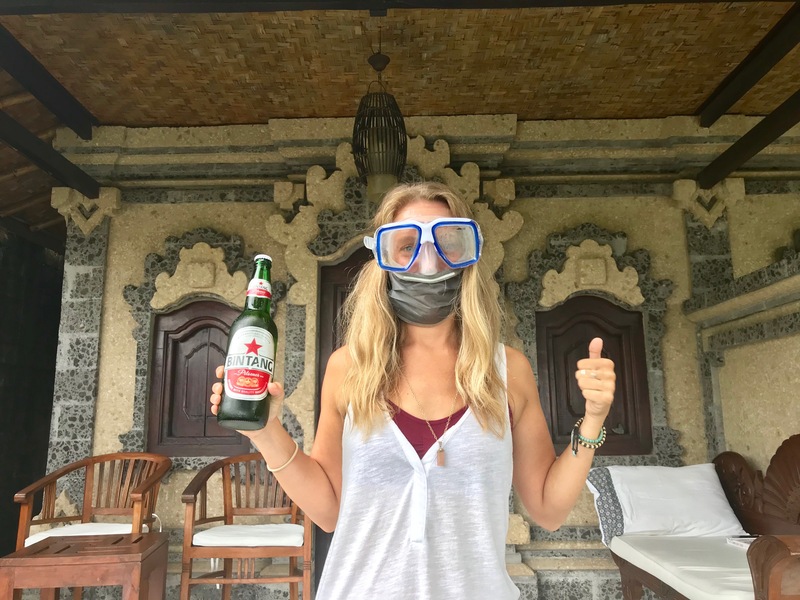 The earthquakes really threw me for a loop and I was panicking because I thought my “Big Adventure” to Bali was only going to last one short month. I was completely torn over whether or not I should give up and go back to America. I stayed. And this time with the cold eruptions? I’m still staying. I think the earthquakes got all of our fear out of the way. It prepared us, mentally and physically. Everyone is….well, ready. After a week of many false alarms, Amed became a ghost town again. 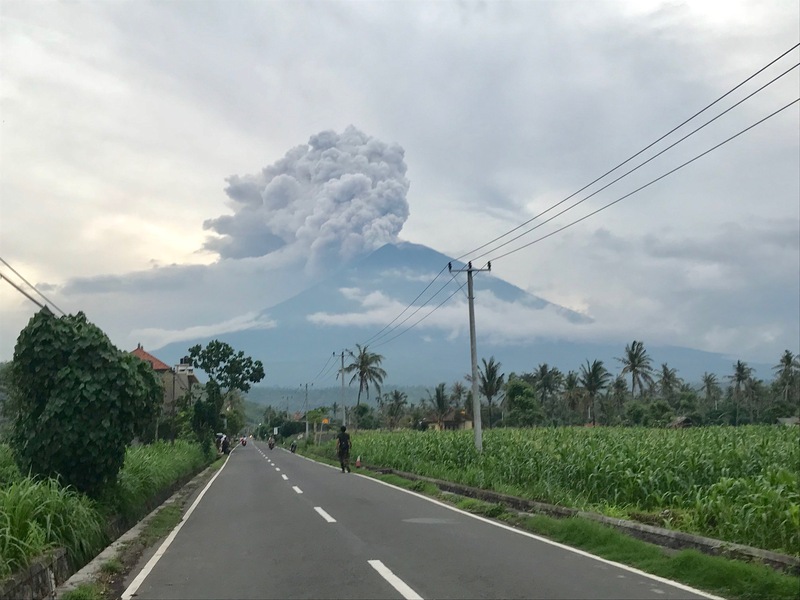 The photographers and journalists gave up on Agung. No more tourists ventured North. Now it feels as if I’m one of the only bulé (white person) in town. 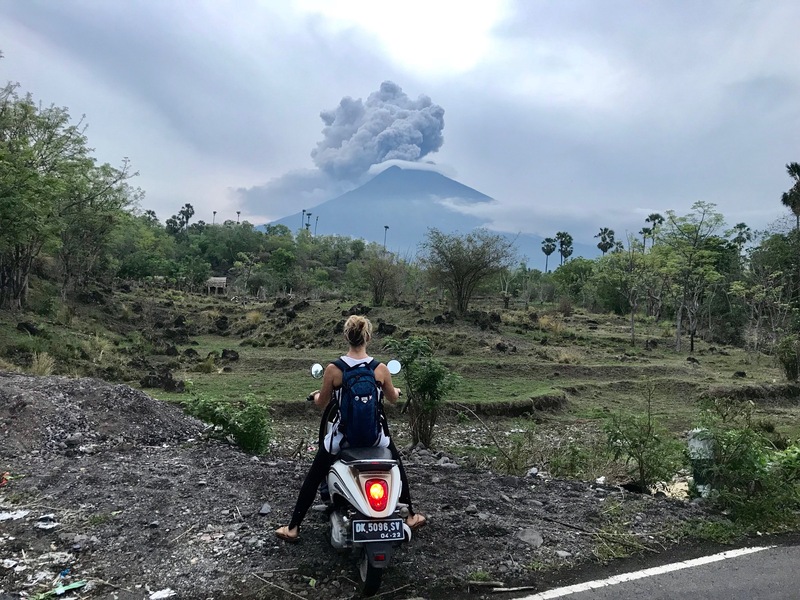 While Agung has been the focal point of my time, there have been some more extraordinary moments that I would love to share. I’ve spent a few more days with my favorite kiddos and on this day, my friend Tiffany gave me beads to make my first Mala bead necklace. I’ve always wanted a mala necklace, but it never felt like it was right for me to just buy one from a store. I’ve read that it’s best if they’re gifted to you from a guru. 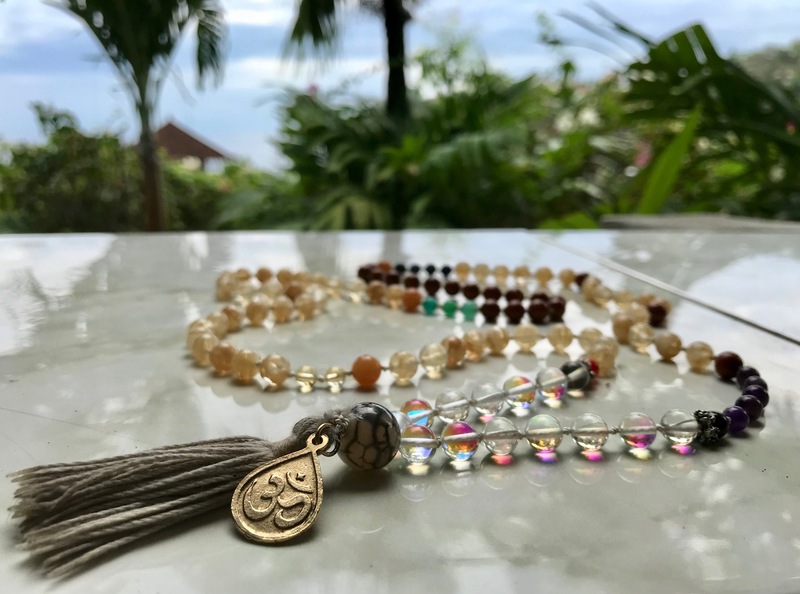 So grateful I was blessed with an epic guru here – thank you, Tiffany, for all of the incredible beads! Malas are all about energies and they’re used during meditation to bring you peace. There are almost always 108 beads in each necklace and so I organized my beads in a way that every number is significant. Then the Lean kids were curious, watching me place each bead on my string and tying tiny knots. After watching for a few minutes, they decided to help. The rest of my necklace was completed by them. Talk about incredible energy in this necklace! I absolutely adore this necklace and it will always remind me of my inner child. 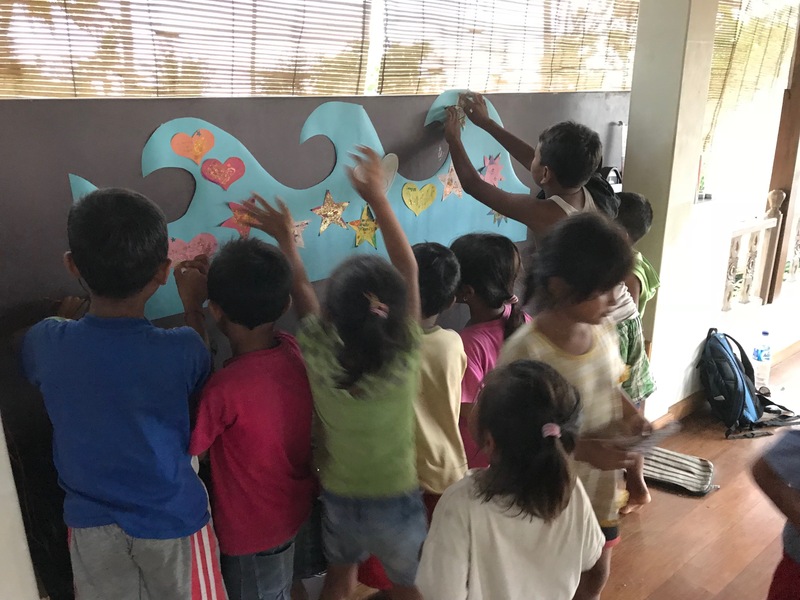 These kids have taught me so much while I’ve been in Bali, and I love that I can carry their pure energy wherever I go. 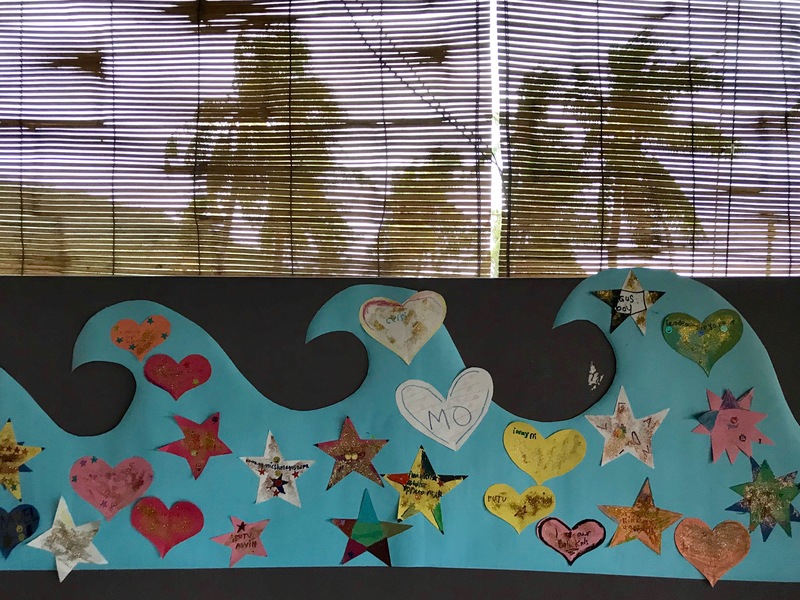 Over the next week, we did a couple more crafts and I particularly loved our Wishing Wave. These kids…I tell ya, they are something else! 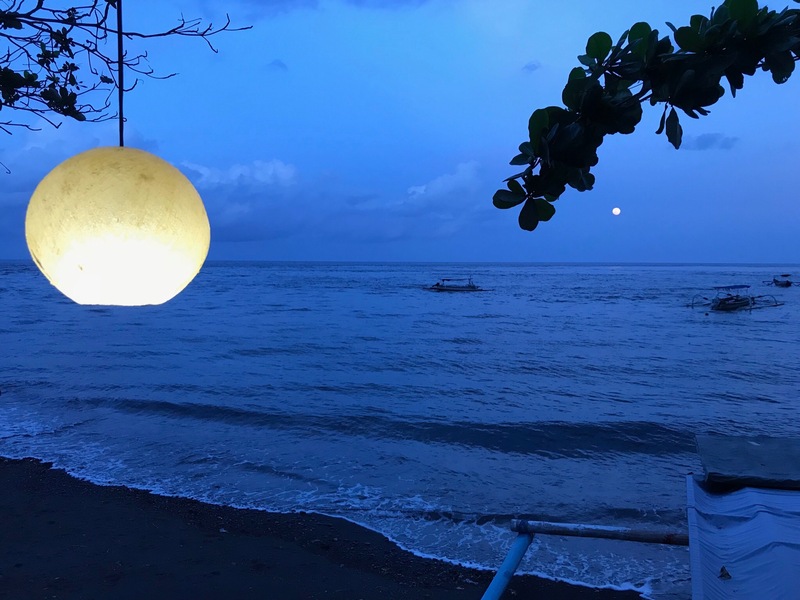 My friend Monika listened to her intuition and felt she needed to leave Bali, so we spent her last dinner at our second home: Blue Earth. Monika has been one of my Guardian Angels here and I love that Amed brought us together. I can’t wait to see where we will be in our lives the next time we are united. The night was clear during the Super Moon and it was one of the most beautiful full moons I’ve ever seen. Something I love about the moon is that photos don’t do it justice. In order to get the powerful effect of it, you have to see it with your own eyes. If you want to know what Bali is like in one photo, this is it. 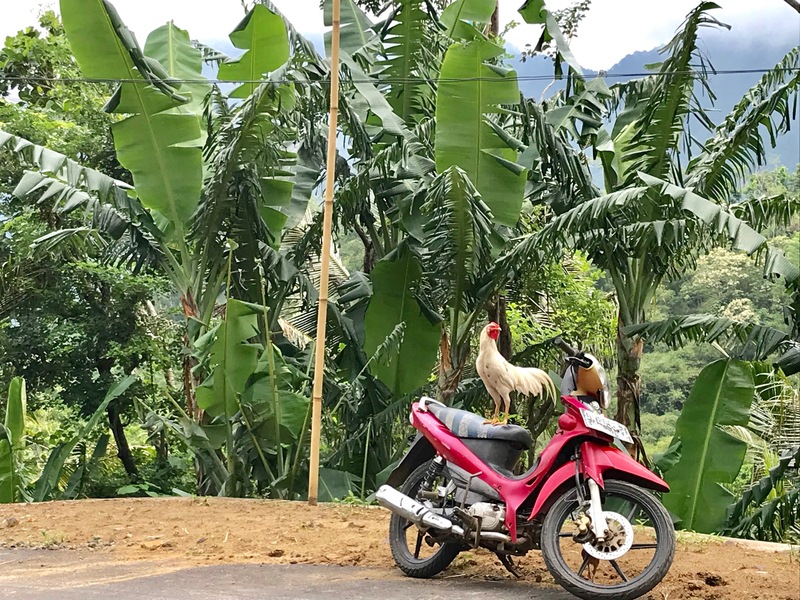 Chickens, motorbikes, and palm trees. All it needs is a temple. One afternoon I was hanging out with Tiffany and we decided to go up to the yoga shala at Blue Earth to watch the sunset. We had a feeling it was going to be an epic one. Sure enough, it was. 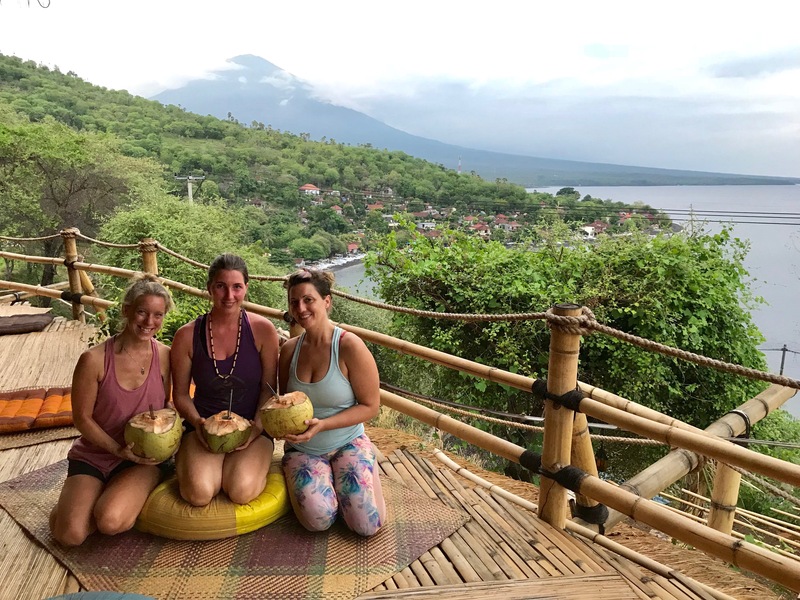 As we were sitting on the ledge, a photographer walked into the shala to take photos…we were about to get up so he could have a clear shot of Agung, but then he asked if he could take a photo of us. Perhaps one of my all-time favorite photos. Sharing this sunset with such a wonderful spirit in one of our favorite places on Earth. Today is another normal, sunny, beautiful day. I’m sitting at my current favorite spot: The Meeting Point…scooters are zipping by and everyone is going about their business like any other day. I love that your adventure continues and that you have allowed yourself to be open to whatever the journey brings. The optimism and love that you share in Bali and with those that are following you is awesome and inspiring. Thanks for the stories and photos Mo!